FULLY FURNISHED VACATION GETAWAY, OR TURN-KEY RENTAL READY WITH THE POTENTIAL TO PRODUCE $40K+ PER YEAR IN GROSS RENTAL INCOME.) 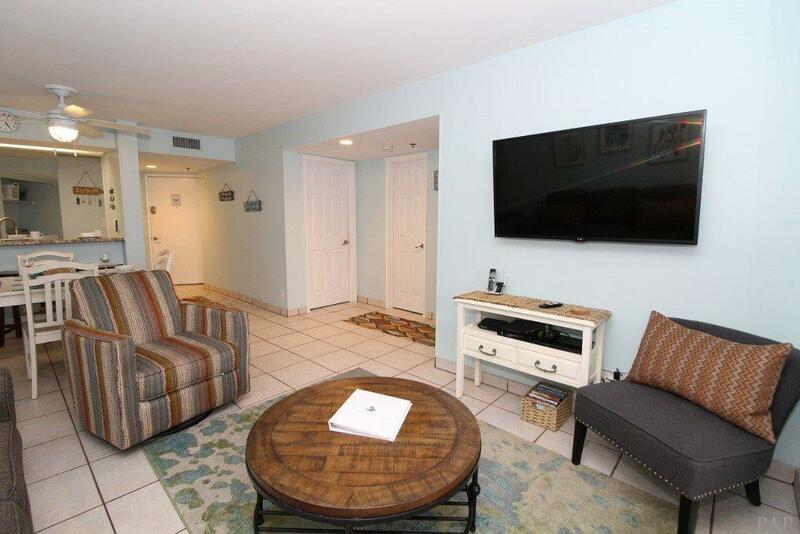 PERDIDO SUN IS ONE OF PERDIDO KEY'S MOST POPULAR BEACHFRONT COMPLEXES WITH INDOOR POOL AND SHOPPING/DINING RIGHT ACROSS THE STREET! 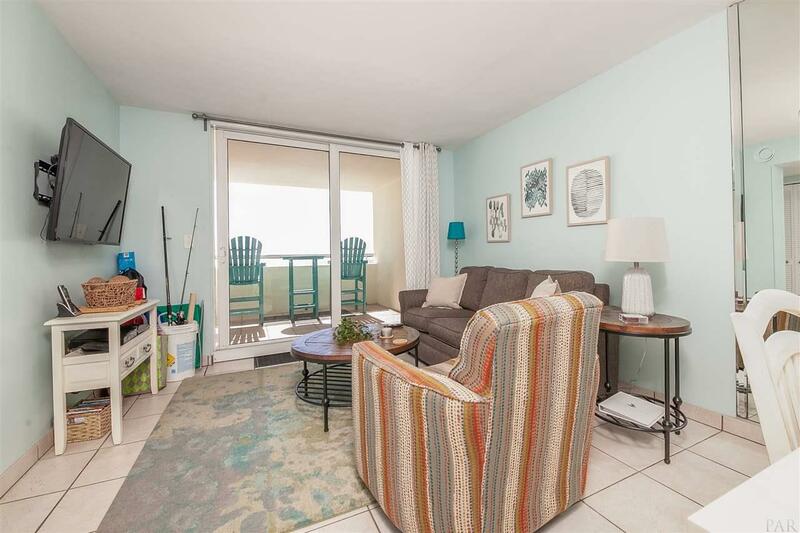 Open-concept 5th floor 2BR/2BA has tile throughout and amazing waterfront views from almost every room! Eat-in kitchen updated with stainless appliances and granite. 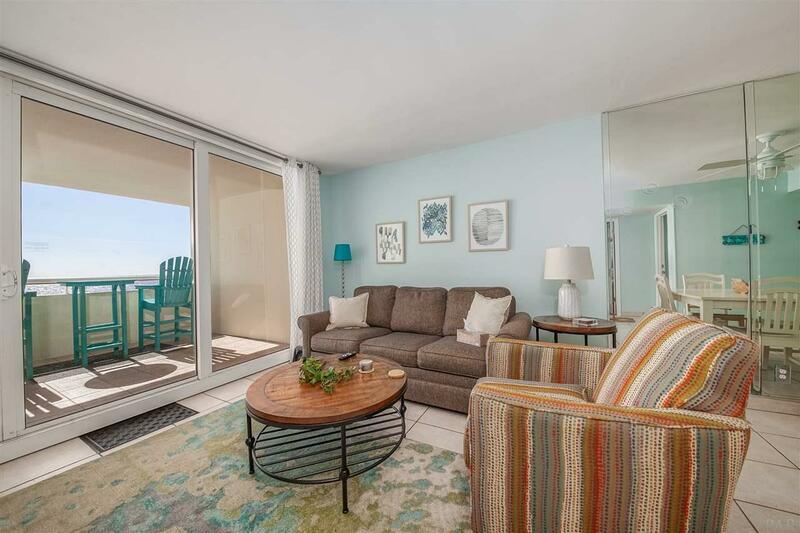 Large master with floor-to-ceiling gulf-front windows, king bed, wall-mounted flat screen TV, balcony access to hear the waves, plus private master bath with plenty of storage. Guest bedroom has 2 twin beds, or room for 2 full beds. Updated guest bathroom has new tile flooring, vanity, countertops and fixtures. Attention to detail in every update, including new Carrier HVAC, Honeywell Smart thermostat, oversized water heater in 2015, refrigerator and dishwasher in 2014, living room furniture and sleeper sofa in 2017, LG smooth-top range, and washer/dryer in 2018. Onsite association management offers Perdido Sun owners and guests wonderful amenities, including beautiful lobby, gulf front heated indoor pool, spacious outdoor pool, deck & spa, community meeting /game-room, after hours security access code and fitness center with showers. Walk across the street for shopping and dining. 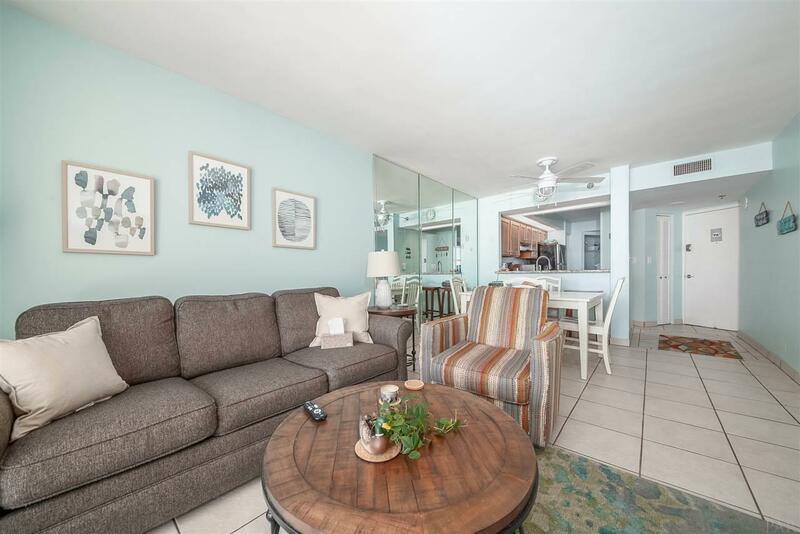 Relax and enjoy breathtaking views of emerald waters and miles of sugar white sands from your covered balcony in one of Perdido Key's favorite resort-style properties!